Last Saturday I took a look at my Facebook feed. 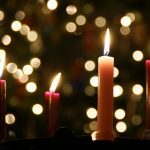 One post was from a liturgical studies guy, posting an article about why we should observe the season of the liturgical calendar and Advent (the month leading up to Christmas). The article talked about how Advent disciplines us to be more holy during such a secularized holiday, and that it brings texture and deeper richness to our worship. 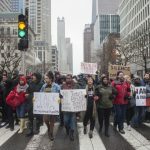 Underneath that there was a post of another friend who attended and protested with many others on the Magnificent Mile in Chicago on Black Friday (huge shopping district) after the video release of the shooting of Laquan McDonald by a Chicago police officer. I thought that these two random posts next to each other was really interesting. One guy is stressing the importance of symbolic liturgical worship and making space for longing for the arrival of Jesus, while the other is doing active protesting in his community, a physical act of worldly groaning for the arrival of Jesus. These two things may seem very different from each other, but I link these two things together so much. I posted last year about how Advent was a time and a space to really long for the returning of Christ. The events of late, including Chicago, Paris, Syria, and now San Bernadino (happening as I type this) seem to be bottlenecking as I’m entering into Advent. And, for some odd reason, every time I look at my 5- and 2-year old sons these days I’m reminded about how other kids their age around the world are being exploited, trafficked, and abused as I witnessed in India, Thailand, and Nepal. It’s overwhelming and all a bit much. Ugly cries galore. It makes me want Jesus to come back so badly so that every evil thing will be crushed, and that everything will be restored to the way it should be. Was this what it was like before Jesus was born? Was it this bad? Were people blowing each other up and gunning innocent people down like a game of whack-a-mole? Those comments seem more than disgusting to me because rather than get involved to even disagree or simply to listen, they were worried about themselves. They were worried about their plans. They didn’t care. Isn’t that the true definition of Hate- to just not care? Jesus, can you please come now? Our worship and shaking our fists our God must turn into outward, active expressions of faith, especially at a time like this. There are many people who don’t really know where to begin to engage after they’ve learned about something. There’s a lot of fear that they will do more damage or hurt to the situation. You don’t want to be the one to fuel any racial tension or rock the boat by doing something to further oppress people. You may not feel like you fit the situation because you’re not a hateful person yourself. I get it, but I also know that these are effective ways to get people to do NOTHING. You may very well screw up, for sure, but this is not an opportunity to disengage. You may think that you have no connection to #blacklivesmatter except as an outsider, but that’s completely wrong. Find out all the ways you’re connected to the world’s suffering, cry out to God in worship, and then do something about it. If Advent organizes us by the Christian story, we can organize ourselves around why Christ came and who he came for. If Advent brings texture and colors to our gathered worship, let’s also incorporate stories of brokenness in our lives and the lives around the world during our gathered worship. 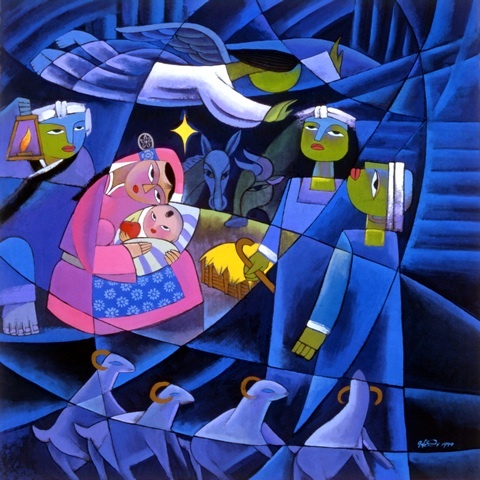 If Advent disciplines us to lament and anticipate the birth of Christ, let’s stand in solidarity with those that are suffering today and bring a wholistic meaning to the gospel. … And then you’ll really be feeling and experiencing Advent in such a deeper way. It will make your worship deeper and more true. It will make you hunger and hope for Jesus. It will fuel your actions and worship. It’ll make Christmas that much sweeter so you can throw a rockin’ birthday party for him. Let your observance of Advent lead to Jesus-centered Action, and let your Jesus-centered Action lead you to long for the coming of the Light of the World. Amen, Angie! “Holiness” is not a word that is separate from the “real world” of how we live. We make the season of Advent holy and reverent in how we live, how we treat our neighbor, how we care for the marginalized. Love this! Will be sharing. Met you briefly at CCDA (or actually, WOC Retreat afterwards). Would love to connect Menders with my org, (@ChalmersCenter). What’s the best way to get in touch with you and/or the band? Thank you for your words and encouragement. I remember a lesson I learned a long time ago that the opposite of love is not hate, but apathy. With hate, at least you know where the other person stands. With apathy there is no clue. That is what I am reminded of by the comments of the shoppers.